SGAC election for a new Co-Chairperson in 2019 has been completed and we are pleased to welcome Arnau Pons (Spain) as the new Co-Chair of SGAC. One of the ways in which SGAC empowers its young professional and student members is by facilitating access to the world’s major space conferences. 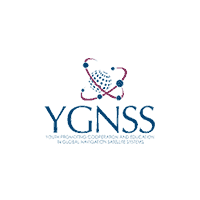 The Global Grants Programme will bring five outstanding SGAC members to Colorado Springs to participate in the 8th Space Generation Fusion Forum (5 - 8 April, 2019), and the 35th Space Symposium (8 - 12 April, 2019). The five winners are announced today..
SGAC is pleased to announce Ashwati Das and Adeene Denton as the winners of the National Academies Early Career Program for Space Science Week 2019. SGAC is proud to announce the following appointments to our team after the latest round of vacancy applications.